Enjoy the best inspirational, motivational, positive, funny and famous quotes by Abraham A. Ribicoff. Use words and picture quotations to push forward and inspire you keep going in life! 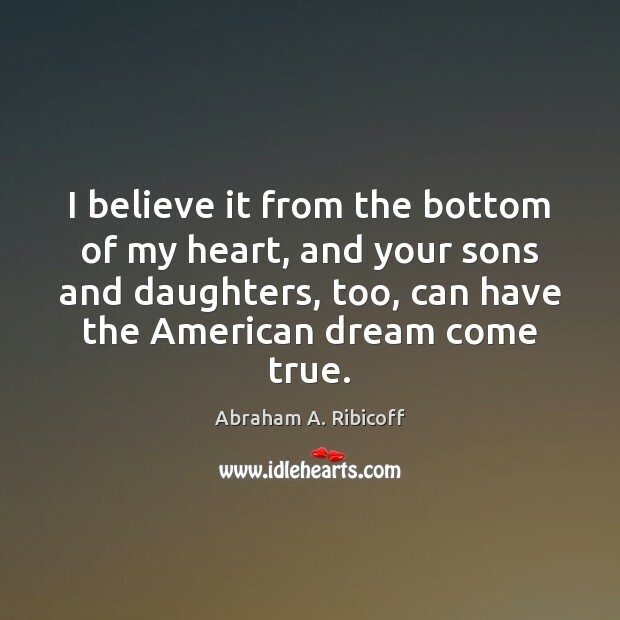 I believe it from the bottom of my heart, and your sons and daughters, too, can have the American dream come true. 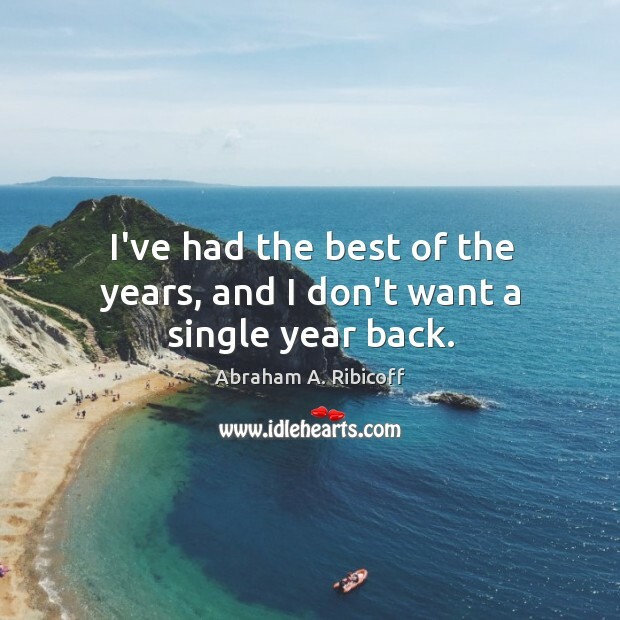 I've had the best of the years, and I don't want a single year back.